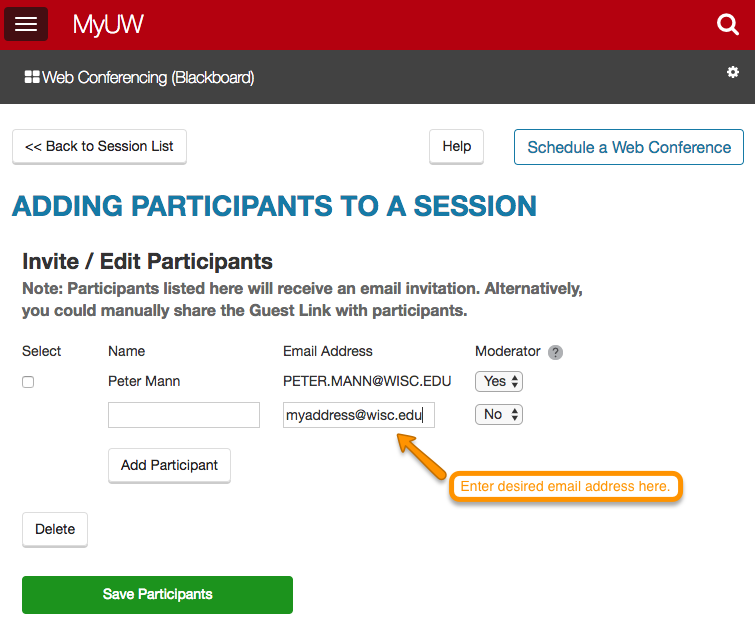 It may occur that a non-campus email address is listed for an individual when using the Adding Participants to a Session feature for Blackboard Original via the My UW portal. The lookup tool references data from HRS, that may include other email addresses provided by the individual. Please read on for available options. Those affected by this behavior may choose from the following alternative options.